In a 'craft' beer culture awash with eee-puhs (IPAs), it's refreshing (pun intended) to find one well-made lager. * And here's one: Lake House Lager, on draught under a tent in the wonderful Bier Garten (beer garden) at Capital Brewery, in Middleton, Wisconsin, on 24 July 2016. Capital Brewery was an early entrant in the 'craft' beer milieu, opening in 1986 (then known as microbreweries), a lager-predominant brewery for much of its three decades, although producing ales as well. Its Lake House is golden hued with good carbonation and head retention; crisp with some DMS (dimethyl sulfide) —in non-geek speak, a corn-like flavor; off-dry malt tasty (with hints of honey and lemon zest); and it did "quench my thirst on a warm (humid) sunny day." 4.6% alcohol-by-volume (abv) and 18 International Bittering Units (IBUs). But damn, I dislike beer in plastic. Under the heat of the sun, it always seems to pick up a rubber-like flavor. 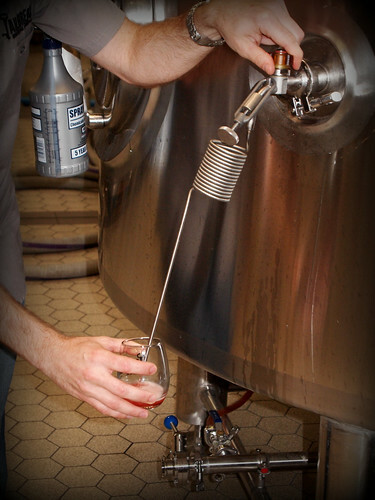 Using a 'pigtail' coil, a brewer pulls a sample of fruit beer from a 'bright' tank. A bright tank is a dish-bottomed pressure-rated temperature-controlled tank used to hold beer in preparation for packaging. The term "bright" refers to "bright beer," beer that has been rendered bright (clear) by filtration, centrifugation, fining, and/or maturation. [...] As many craft beers are not filtered or clarified, the beer sent into the bright tank may not be bright at all. But beyond artistic drama, why that 'pigtail' coil? The beer in the bright tank was fully carbonated, under pressure. A pigtail's long length of narrow-gauge stainless-steel created resistance to the beer flow along its length, at a rate almost equal to the pressure in the tank. As seen at Jailbreak Brewing Company in Laurel, Maryland, on 26 July 2014. Pro tip: the 'actual' name for this is a proof coil sampling valve. But saying pigtail is more fun. 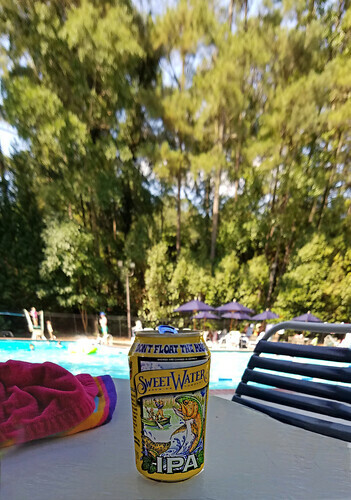 Swam a leisurely lap there and back; then, poolside, hydrated straight outta the can. No glass allowed. A hometown Sweetwater Brewing IPA redolent of fresh tangerines and old-school London-gin juniper, chased by a spicy-dry finish. characterized by high levels of alcohol and hops. It gained its name thanks to its huge popularity in British India and other outposts of the British Empire throughout the 19th century, as a result of its keeping abilities on long sea voyage and its refreshing character when it finally reached its destination. On 25 June 2016, in Atlanta, Georgia, it was an IPA, new world style. I didn't mind. Summertime and the living tasted easier. 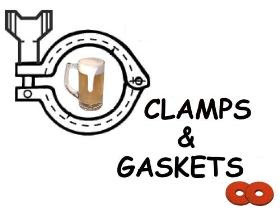 Clamps & Gaskets: News Roundup for Weeks 25/26, 2016. 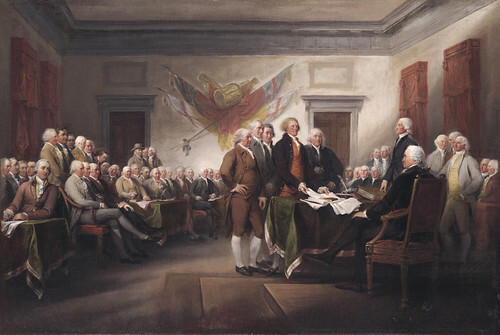 In 1776, John Adams —Constitutional Convention delegate from Massachusetts and future American President— believed that the 2nd of July should and would be celebrated as American Independence Day, not the 4th as it has become. the Auschwitz survivor who became an eloquent witness for the six million Jews slaughtered in World War II and who, more than anyone else, seared the memory of the Holocaust on the world’s conscience, died on Saturday at his home in Manhattan. He was 87. Economic stimulus. Quantitative drinking. Americans are projected to purchase $1 billion worth of beer over the Independence Day holiday weekend. The 141-day Battle of Somme, of World War I, began 100 years ago. 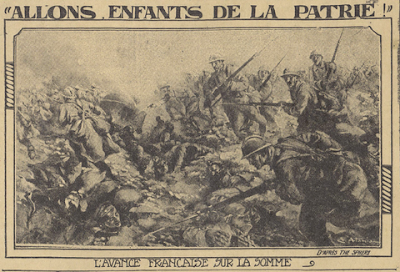 On 1 July 1916, the British Fourth Army took 57,470 casualties, of which 19,240 men were killed, the French Sixth Army had 1,590 casualties and the German 2nd Army had 10,000–12,000 losses. By the end of the campaign, 18 November 1916, more than one million men had been wounded or killed, making it one of the bloodiest battles in human history. California's Lagunitas Brewing —in 2015, the nation's 6th largest 'craft' brewery— buys stake in three smaller 'craft' breweries: Independence Brewing, in Austin, Texas; Moonlight Brewing, in in Santa Rosa, California; Southend Brewery and Smokehouse, in Charleston, South Carolina, which will be renamed as Lagunitas brewpub. United States Supreme Court overturns abortion clinic restrictions in Texas —requiring clinics that provide abortions to have surgical facilities and doctors to have admitting privileges at a nearby hospital— as unconstitutional. West Virginia flood was ‘one in a thousand year event,’ Weather Service says; at least 23 people are confirmed dead from the floodwaters. Yuengling —the nation's largest 'craft'brewery— fined $2.8 million for Clean Water Act violations at its two plants near Pottsville, Pennsylvania. The company will spend $7 million on required improvements at the plants. Ralph Stanley, bluegrass master and banjoist, National Medal of Arts recipient, has died at 89. 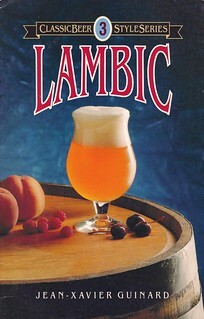 Originally published in 1990 and long out-of-print, "Lambic" —number 3 in the Brewers Publications' Classic Beer Style Series— has been re-released as an ebook. 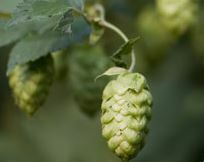 —Via Brewers Publications (a subsidiary of the [U.S.] Brewers Association). 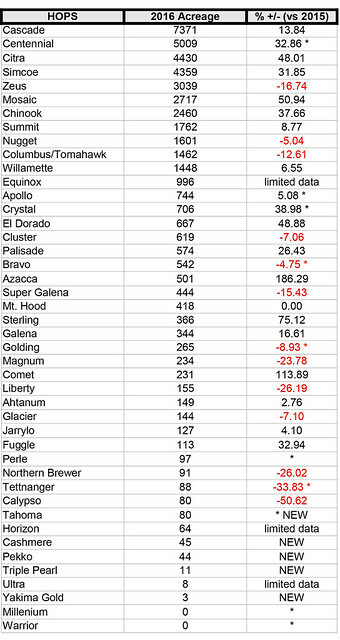 As of June 2016, there were 700 breweries operating in California, a record number there, doubling in only the last four years, and far greater than in any other state. Eleven of its breweries are among the nation’s fifty largest 'craft' breweries. —Via Jay Brooks at Brookston Beer Bulletin. British voters vote for "Brexit," to leave the European Union, by 52 to 48%. Britain had joined the EU in 1973. The full moon of 20 June 2016 is the first full moon to fall on the summer solstice since 1948. Guinness is a mighty global brand but there are signs that it is struggling to maintain its position as The Stout. In Britain, in particular, its popularity has been sliding for almost a decade: between 2008 and 2014 sales dropped by approximately 50 million liters per year, from more than 250 million to around 200 million. There’s a number of elements we don’t talk about. —Via Jessica Boak and Ray Bailey at All About Beer. The scarlet letter of ‘craft’ is a moving target, an object of opprobrium seemingly chosen annually. Much scorned, corn and rice are as much evil adjuncts as sugar and fruit and pumpkin and breakfast cereal are. If anything, among those, corn might be the uber-traditional of American brewing ingredients. "Rethinking corn’s demonized role in beer." —Via Stan Hieronymus at DRAFT Magazine. It's a 'craft' beer cage-match in Colorado, as several breweries split from the Colorado Brewers Guild over a schism concerning the inclusion of Anheuser-Busch InBev and Breckinridge (purchased in 2015 by AB InBev); form new group called Craft Beer Colorado. 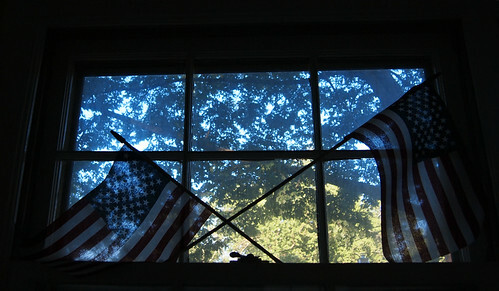 Juneteenth celebrates the eradication of American slavery, 19 June in 1865. Major League Baseball will play its annual All-Star Game this coming Tuesday, 12 July, in San Diego, California. 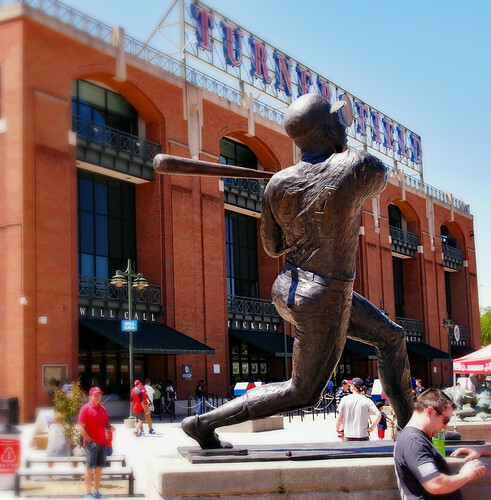 Nearly two thousand miles east, in Atlanta, Georgia, a statue stands majestically in the north courtyard of baseball park Turner Field. The bronze sculpture commemorates the moment in April, 1974, that baseball All-Star Henry (Hank) Aaron hammered his 715th home run —breaking the long-held, long-thought-unbreakable record of Babe Ruth. Aaron, playing in the 'Deep South' of the time, chasing and eventually eclipsing a hallowed record of a beloved player, had a career that encompassed the nobility of athletic prowess and the ugly obstruction of racism. When he retired in 1976, Aaron had played for the Atlanta Braves (originally the Milwaukee Braves) for twenty-one years of his twenty-three-year career. He would hit a total of 755 home runs, a record that would stand until 2007, when it was broken by Barry Bonds (a feat tainted by steroid use). Aaron still holds the major league records of 2,297 RBIs and of total bases, 6,856. He was selected for the All-Star team every year from 1955 through 1975; he won three Gold Glove awards; he was selected the National League MVP in 1957 while leading the Braves to a World Series championship. In 1982, Aaron was inducted into the Baseball Hall of Fame with 97.83% of the vote. In 1999, The Sporting News ranked him as the fifth greatest baseball player ever; ESPN selected him as the fifteenth greatest athlete of the 20th Century. 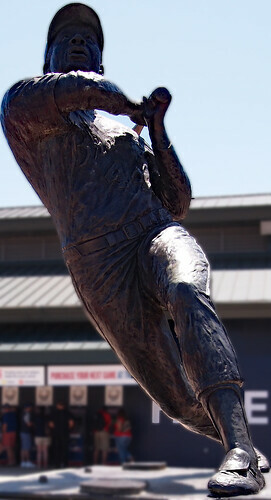 Aaron's statue was paid for by his fans, sculpted in 1982 by a then relatively unknown Colorado-based artist, Ed Dwight, and erected at Atlanta-Fulton County Stadium, then home field for the Atlanta Braves. In 1996, Turner Field, colloquially known as "The Ted," was built for the Summer Olympics in Atlanta, just across the way. The following year, the Braves moved in. And the statue followed. Sadly though, at the conclusion of this 2016 baseball season, the team will abandon the ballpark, moving twenty miles from the city. The Braves have commissioned a new sculpture for the new digs. Hank Aaron, however, is not leaving; his statue will remain standing, bigger-than-life, in Atlanta at Turner Field. Aaron was the physical embodiment of a generation of African-American major leaguers and best exemplified the potential for accomplishment that could be realized when presented with opportunity. Like [Babe] Ruth's magnetic personality, Aaron's new legacy extended beyond the arena of the playing field. Aaron's accomplishments made a case for what baseball and America could be. [...] "Aaron," said former Atlanta mayor Maynard Jackson, "was a man big enough for the job." — Charlie Vascellaro: Hank Aaron: A Biography. (2005). Northern Virginia says goodbye to "a good beer guy" today. In 1974, he began his wholesale beer career, flogging Budweiser in northern Virginia. But he would grow to know and love the upstarts, the 'micro-breweries,' and he would never look back. In the 1990s, he signed as beer manager with northern Virginia wholesaler Select Wines, Inc. to develop a 'craft' beer portfolio. There, he would guide small breweries through the difficulties of building their brands. He would convince skeptical barkeeps and store managers to stock those beers. He would be the first to bring the beers of Sierra Nevada to beer drinkers of northern Virginia back when that California brewery was only beginning to grow into the national juggernaut it is today. And he would introduce other further-afield 'craft' breweries, such as Allagash, Abita, and Brooklyn Brewery). In the process, he helped establish a 'craft' beer retail paradigm. He ... is Ted Curtis — a pioneer of the 'craft' beer business in northern Virginia. And, today, he'll be responsible for his final beer keg delivery. After forty-two years of bringing good beer to the people of northern Virginia, Ted Curtis is retiring. Beer lovers in Stafford, Fauquier, Prince William, Loudoun, Fairfax, Alexandria, Arlington, and Falls Church may not see his like again. Ted Curtis spoke (and speaks) his mind; he's easy with a laugh; he plays a mean drum set; he's old school for a new world. I’ve known Ted for almost 20 years now. 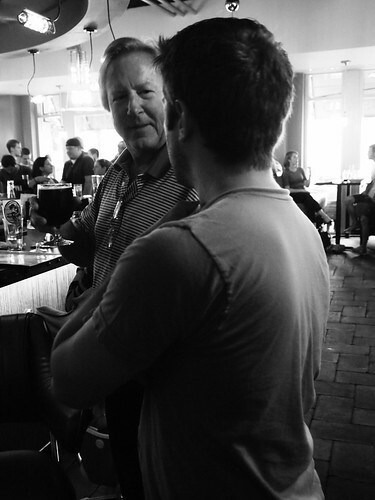 He’s a good beer guy – and that’s a high compliment from me. I will miss his enthusiasm and good humor going forward. Have a great retirement! So you young'uns out there, never forget to respect all who laid down the foundation. Happy retirement, Ted A. Curtis! Thanks for joining me on drums one more time before your World Voyage, my good friend. Ted Curtis is one of the people I have had the great pleasure of working with in my 21 years in the beer community of the Mid Atlantic. That is only half the number of years Ted has been on the scene...WOW! I can remember Ted hauling kegs for one of our festivals in his personal vehicle since the work truck was down for repairs. No doubt, Ted was a bit salty about it, but he relented and made sure we were taken care of, even though the tires on his Explorer were about to burst. That was Ted to a T. As our industry grows and the beer festival seasons grind on, there will be something missing with Ted not there to shed some good humor on us all. I wish him all the best in retirement. Cheers! In the "old days" of Allagash when I was getting started, I spent tons of time on the road in our markets doing ride-withs in all of our territories. I always looked forward to riding with Ted... I learned a lot from him, and loved hearing all of the classic stories from the beer biz that he had spent so much time in. Fond memories for sure... I'll miss him!!! What can we all say about Ted? More than we can put here, I can tell you that. Ted was an integral piece of where I am today in craft beer. During my early days with Hard Times Cafe back in 1999-2000, Ted helped introduce me to the amazing beers of Baltimore Brewing Company and Clipper City (it's still Clipper City to me.....sorry Hugh! ), as well as learn so much more about what Sierra Nevada could be, beyond just Pale Ale and Celebration.....although those were damn great! That is of course how I came to know this man, Tom Cizauskas, as well as the ubiquitous Hoppy Jeff Wells. Just one big happy family. The early days of beer dinners with Ted and all these guys was my indoctrination to what the craft beer community can be and has become. I've never worked with anyone so dedicated to his customers, so honest in helping them in any way. Now that all culminated into the opening of Ornery Beer Company. Ted has his mark here forever. Ted's dedication to craft beer will be sorely missed around here. I'm honored to call him a friend and damn sorry I missed the big retirement party! 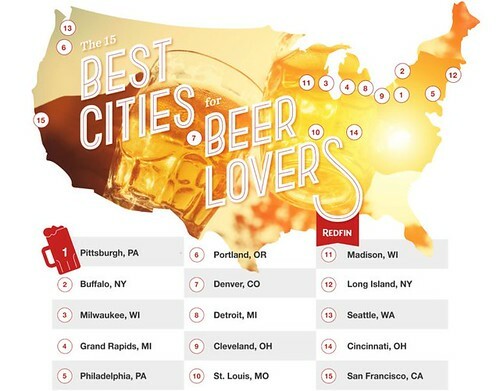 What's the best American city in which to drink a beer? At least according to real estate brokerage firm Redfin, which has ranked the "15 best American beer cities for beer lovers." West of the Mississippi River, the state of Oregon is represented by Portland —maybe ground zero for American 'craft' beer— at the fifth position. Colorado is represented by Denver —which might argue that it is ground zero— at seventh. Living isn't exactly cheap in San Francisco; it places 15th, the only California city on the list. 12. Long Island, New York. I'd be interested in seeing those numbers and in knowing what the fifty cities were. And, by the way, when did Nassau and Suffolk counties incorporate as the City of Long Island? As with any such list, your mileage may differ and your hometown pride might be slighted. It's up for debate —cf. different metrics, different math, quality-of-life, beer culture, best beers, beer pubs, beer-savviness, you name it— but it's an enjoyable debate, nonetheless. The Redfin team consumed many beers from all around the country in order to ensure the accuracy of the list.